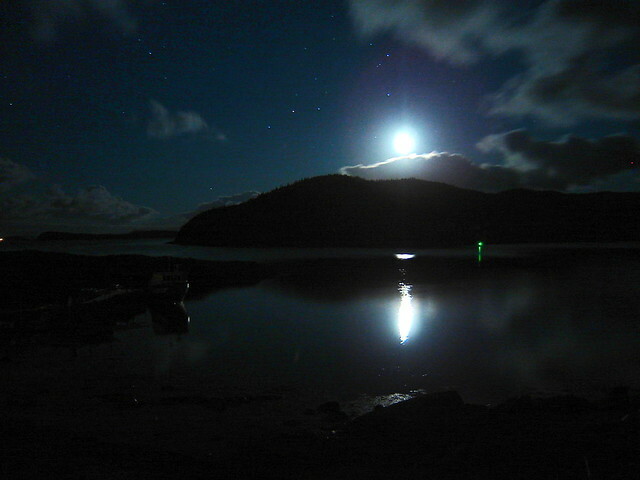 Night is different on Exploits Islands, a resettled community where we spend part of our summer. 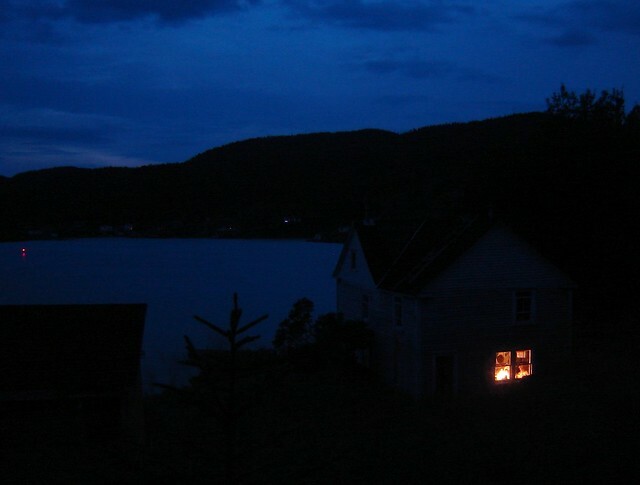 When there is no electricity (or minimal, at any rate, as some folk have generators) and there are no cars, night becomes a much more viscous phenomenon, with a texture and an energy of its own. Walking the paths at night on Exploits is completely different from walking in a town or city. 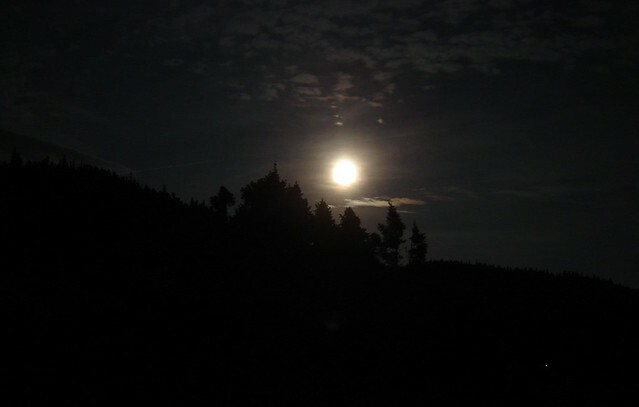 Everything is slower there and you can watch the moon rise and see the satellites and meteorites trail across the sky. 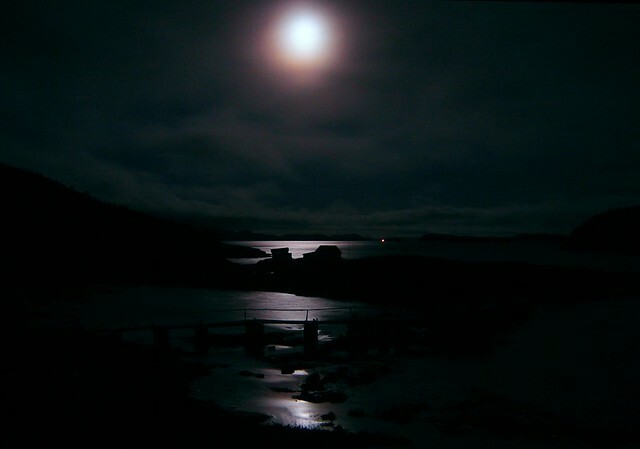 The velvet-like quality of the darkness makes it far easier to believe the stories of spooks and spirits that are so often told; according to local legend, Exploits is one of the most haunted places in Newfoundland. The stars are so bright they appear to be a carpet just above your head and the bats flit; sudden shadows against the sky lights. Night on the Bay. The lights in the distance (centre photo) are Little Burnt Bay, many miles away. 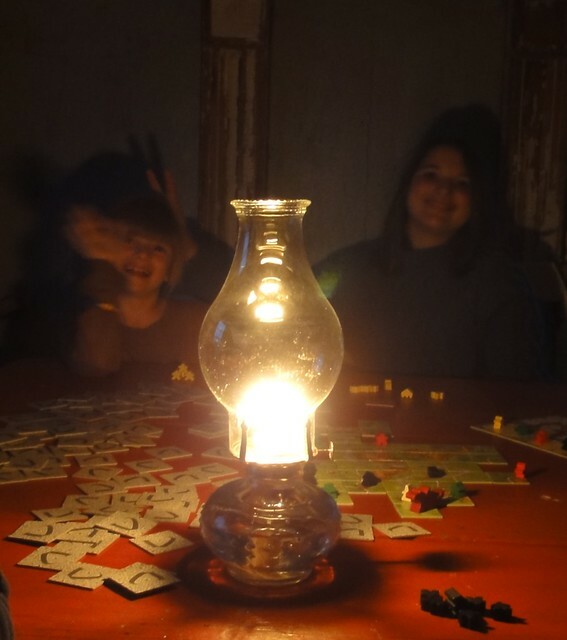 We don’t have electricity, so much of our night time luminescence is provided by oil lamps (although the kids use flashlights – oil lamps are a little too dangerous to risk in children’s bedrooms!) and occasionally candles. There is little to no noise, no smog or other air pollution at all and no ambient light from any cities or towns diluting the skies. It’s a different sort of a night. It’s surprising how quickly you get used to the no internet thing. That said, smart phones work out there. I don’t bring one myself, preferring the complete retreat from the modern world, but I know folks who do. Such lovely photos and thanks for sharing some information in regards to the location of these photographs. What an extraordinary life you get to lead by having access to this….and your kids get to taste 19th century life. I’m fascinated by light-less life and often wonder how differently everyone behaved before electricity made life so profoundly different. These photos are magic. It’s a very different way of being. Your routine revolves around the available light more than you think and you naturally fall into a pattern of activity that I think must be what folks did a hundred years or more ago. 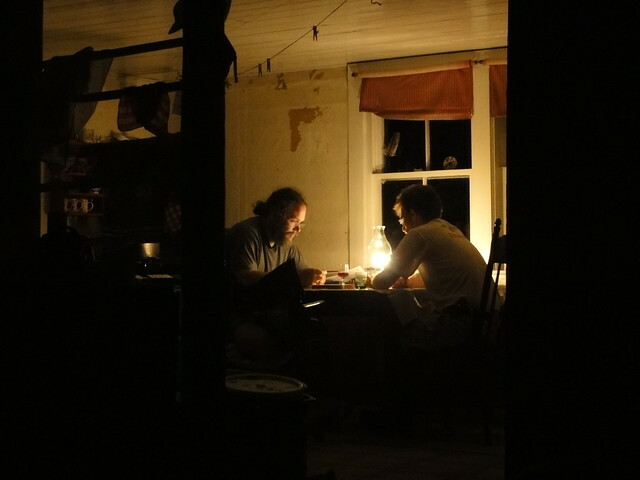 Night has it’s own life and texture and each chore that is done manually (without electricity) has it’s own span of time. Life is slower but richer. It’s a wonderful place to grow up (in the summer). Until this year, I’ve been using point and shoot cameras. I have a Sony DSC-HX5 which was used for most of the shots in that post. My current favourite is my Nikon D70 dSLR, but I still use the Sony quite often. It’s highly portable and gives great results using the manual settings. Carcassonne is great fun! Have you tried Settlers of Catan? Yes! Oh its brilliant but the new design isn’t as good as the old one. The old one had little simple wooden settlements whereas now they are little detailed plastic ones. I prefere the old ones. Ah, I must have the old games, then, as all of mine are wooden pieces and quite simple. The fun part of Catan and Carcassonne is the scope for inventing “house rules”. You really can take the game in all sorts of new directions!